Watches and I are inseparable. If there is any accessory that I swear by (apart from my sunglasses), its gotta be a watch. You must have noticed how most of my outfits always have a watch. Honestly, I feel incomplete without a watch on my right wrist. While most believe that it is just an added accessory in a decade where everyone is used to checking the time on their phones, I believe in the old school theory. For me, a classy watch completes your outfit and is rightfully the most important accessory. Opt for the right watch and you will never go wrong. And today, the variety is huge, when compared to what our previous generations had to choose from. Recently, I was invited by Calvin Klein to be a part of their CK watches 'CK Minute' A/W 2015 collection launch in India. For someone who can't leave her home without a watch, it was like being in a watch wonderland. From stunning chunky pieces, monochromatic digital watches, colorful summer inspired variety to sports watches in fun colors, classy steel rose gold watches and dainty jewelry as part of the collection, there was something for everyone. There were a few pieces that caught my attention and I just couldn't take my eyes off those beautiful pieces. Each so unique and versatile, that you won't have to worry about the outfit that goes well with it. 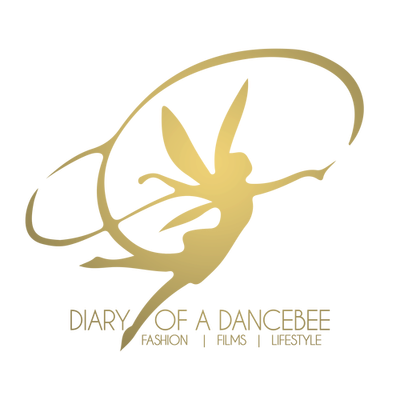 Take a look at the Dancebee's Top 4 must haves from the latest collection, which includes a watch for every occasion. Calvin Klein Lively: Everybody loves a bright, happy yet subtle watch, that is available in a variety of colors. This orange watch from the Calvin Klein Lively range is perfect to add a dash of summer sunshine in every season. This simple and elegant watch is perfectly designed for everyday wear. Pair it with your outfit from day to night. The piece is extremely versatile and will go with almost every look. For those with a good budget and massive savings, pick one in each color (they are available in six colors including orange, light blue, khaki, white, beige and brown). You won't be disappointed! As for me, I am in love with this orange beauty with silicone strap. Calvin Klein Senses watch with CK breathe jewelry: When it comes to polished, classic stainless steel watches (or even the ones with a big dial), I swear by the rose gold hue. This particular color has its own charm and is perfect for evening events or formal parties. I love how the Calvin Klein Senses range has this elegant watch in seven varieties, which includes two dual tone watches. Opt for the silver or silver - rose gold combination, if you are looking for a simple watch perfect for everyday wear, especially for important meetings. The CK Breathe jewelry range, with layered elliptical form inspired by the sound waves, includes a necklace, finger ring, bracelet and ear hoops, which look glamorous. I loved the dual tone necklace, which can spruce up even the most basic tee or dress in the world. Calvin Klein Earth: Who said watches for men are only meant for the specified gender? Several women love swapping their dainty watches for chunky, sporty watches and often head to their husband, father or brother's wardrobe for more choices. I am a fan of big watches, and the Calvin Klein earth caught my attention at the right time (it also happens to be actress Diana Penty's favorite and we got a picture together while raving about the same watch). This urban and refined timepiece, which is also water resistant, features a coordinating dial and a textile strap, accented by a subtle (yet classy) 'Calvin Klein' logo at 12 o'clock. Available in four colors (dial & strap) - silver, khaki, navy blue & black. Calvin Klein Period 3: Unfortunately, I missed out on getting to know more about this stunning rose gold watch. The only thing I remember is that the launch event guide (who showed us around and helped us in understanding the idea behind each range) informed us that this particular watch is from the Period 3 collection. Just one look at this beauty and I just couldn't leave without trying it on. The unique design, sophisticated mother of pearl white dial and gorgeous rose gold hue was enough to make this my most favorite watch from the entire collection. It is sleek, sturdy (not delicate at all) and can pass off as part of the arm party with other accessories on your wrist. For those who choose simplicity above everything, pair it with a crisp white shirt, blue denims, tan bag and a pair of tan sandals. One of the simple, classiest yet extremely elegant looks ever (and my favorite too). While everyone at Team Dancebee has got their list of favorites ready and can't wait to get their hands on these beauties, you guys will have to wait a little more, before these gorgeous pieces from the A/W 2015 collection hits the Indian market! Psst.. we shall keep you posted once its here. Have you got a favorite already? Tell us about it on Twitter! Yeah! Exactly true... A watch could be the best companion to make you realize the time value. I liked the orange it is quite different and beautiful in color.